The co-pilot in a February airline crash that killed 50 people in upstate New York was paid a salary so low that she was living with her parents in the West Coast city of Seattle and commuting across the U.S. to her job, according to testimony Wednesday. The accident was the worst U.S. airline crash in seven years. One of the safety issues that has arisen in the National Transportation Safety Board's investigation is whether co-pilot Rebecca Shaw and Capt. Marvin Renslow may have suffered from fatigue during the accident. Testimony in the three-day hearing, which began Tuesday, indicates Shaw and Renslow made several fundamental mistakes as Continental Connection Flight 3407 approached Buffalo Niagara International Airport in wintry weather the night of Feb. 12. Airline officials acknowledged at the hearing that Shaw, 24, was paid at a rate of about $23 an hour. They did not dispute an NTSB investigator who said she made $16,254 a year, although she could have earned more if she worked extra hours. Shaw worked for the airline  Colgan Air Inc. , which operated the flight for Continental  for a little more than a year and worked a second job in a coffee shop when she was first hired. The night before the accident, Shaw flew overnight as a passenger from Seattle to report to work at Newark Liberty International Airport on the East Coast. Shaw also complained about congestion and may have been suffering from a cold. Roger Cox, NTSB's aviation safety operations group chairman, suggested while questioning officials for Colgan that Shaw was commuting because she couldn't afford to live in the New York metropolitan area. Mary Finnegan, Colgan's vice president of administration, said the company permits pilots to live anywhere in the U.S. they wish. She said the company also allows them to remove themselves from flight duty if they are fatigued. Renslow commuted to Newark from his home near Tampa, Florida. Colgan officials said their captains typically have salaries around 55,000 a year. 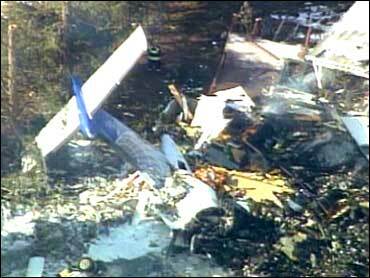 NTSB investigators said 93 of the 137 Colgan pilots who work out of Newark commute by air to work. The company maintains a crew room at the airport with couches, overstuffed chairs and a big screen TV. Board members said Shaw frequently slept overnight in the crew room in violation of company policy, joking with other crew members that the room had a couch with her name on it. Colgan officials said overnight sleeping was not allowed in the room because it was a busy place, making quality rest time difficult. Colgan "looked the other way. I think it's a disgrace, it's despicable," said Pam Weldon, a family friend of a passenger killed in the crash. "They called it 'napping.' They knew it was sleeping." A transcript of the cockpit voice recorder released Tuesday by the board showed Renslow and Shaw engaging in chitchat about careers and her lack of experience flying in icy conditions during the plane's final minutes, even after they had noticed a buildup of ice on the windshield and the wings. The Dash 8-Q400 Bombardier, a twin-engine turboprop, experienced an aerodynamic stall, rolling back and forth before plunging into a house below. All 49 people aboard and one on the ground were killed. Colgan officials acknowledged in response to board members' questions that Renslow and Shaw were not paying close attention to the plane's instruments and were surprised by a stall warning. Nor did they follow the airline's procedures for responding to a stall. Further testimony and documents also showed that Renslow had failed several training tests before and after being hired by Colgan in 2005. He had been certified to fly the Dash-8 plane for about three months. Paul Pryor, Colgan's head of pilot training, acknowledged that Renslow did not have any hands-on training on the Dash 8's stick pusher  a key safety system that automatically kicks on in response to a stall  although he had received hands-on stick pusher training on a smaller plane that he previously flew. Michael Goldfarb, the Federal Aviation Administration's former chief of staff, said training problems were "systemic" in the industry. "Are we as safe as we ought to be on regional jets? No, we are not," Goldfarb told CBS' The Early Show.